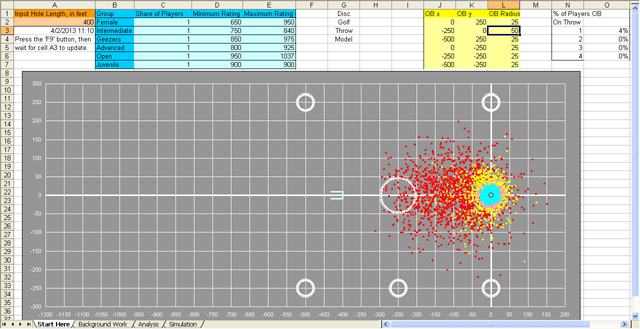 The link below the graphic takes you to an Excel file which shows where discs might land. If you use it, please let me know using the contact form at the bottom of the page. or email to "info" at this website. Here is a table with probabilities of hitting an ace. Here is how I computed the above table. A quick generator of typical spray patterns.